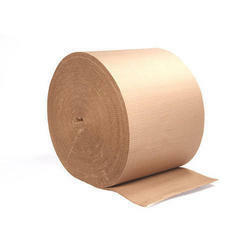 We are a leading Manufacturer of corrugated rolls from Gurgaon, India. We are amongst the eminent names in industry, engaged in manufacturing and supplying a distinguished range of Corrugated Rolls. These rolls are manufactured using optimum quality materials, which are procured form reliable and authentic vendors of the industry. Light weight, fine finishing, durability, temperature resistance and reasonable rates are some of the key features of these corrugated rolls, which make them widely demanded and appreciated by our valued clientele. These rolls provide protection to the fragile items.